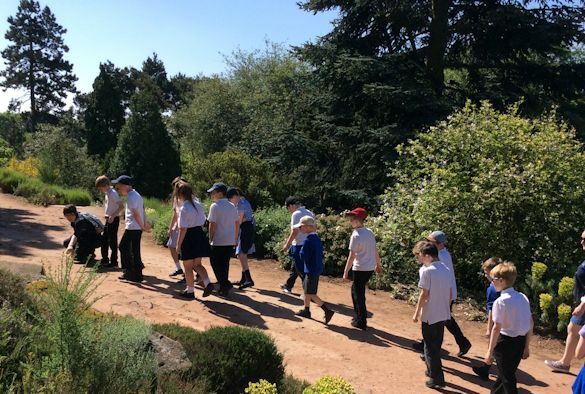 Ness Botanical Gardens welcomed 100 primary school pupils from the University’s partner primary schools to take part in a visit day. The young people took part in an evolution trail where they learnt about the importance of bees for our eco-system, how to be a scientist and how plants and animals have evolved over the course of history. The pupils also spent some time in an aspiration raising workshop led by Professor Fluffy and friends. They learnt some key vocabulary associated with university, had the opportunity to ask student advocates of the Widening Participation team questions about their studies and educational journey and the visit culminated in a cap and gown ceremony with the children taking away a certificate and goody bag. This is the second year this collaboration with Ness has taken place and it has become a unique way to engage with schools and young people.